In this new series on Card Player, we present to you a top poker pro who has had his or her world turned upside down by the events on Black Friday. In this edition we bring you Lars Bonding, his wife, and their two kids. Veteran tournament grinder Lars “Dsavo” Bonding has been one of the best online players in the world over the course of his career. However, due to the recent indictments of the major online poker sites, effectively shutting down their U.S. operations, Vegas-based Bonding has had to put his computer on standby. Bonding is a case file on poker as a game of ingenuity, rather than karma. He had been on one of the best tears in the history of online poker earlier this year. Over the course of a few months, the Denmark native recorded two wins and a fourth place finish in the $200 buy-in PokerStars Sunday Warmup, which had consistently drew more than 4,600 entrants each week. The run netted him about $250,000. The consistency has netted Mr. Bonding nearly $2 million in career tournament earnings. He hasn’t been playing all these years to degenerate into the lifestyle of a gambler, or even to simply travel the world and have a good time. He and his wife have two boys, ages five and three, and they will all make the move back to Lars’ home country of Denmark — a place where widespread online poker is available. The situation in Denmark is also far from ideal, according to Bonding, but it is a far better option than remaining in the land of opportunity. Bonding said that players can pay up to 50 percent in taxes on their winnings in his home country. But that isn’t stopping the family of four from planning the move. The indictments against the major online poker sites have created an uncertain future for players like Mr. Bonding who make their living using their lucid brains and battled-tested theorems. But perhaps the most devastating long-term effect is that the Department of Justice has increased the volatility of playing for a living, more than normal variance could ever generate. While the DoJ proceeds with its case against sites that allegedly engaged in bank fraud and money laundering, families supported on poker incomes will proceed to take their talents and tax dollars elsewhere. 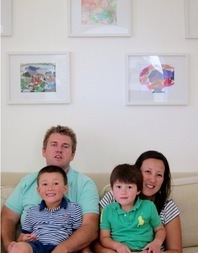 Las Vegas will lose a fine family like the Bondings after this summer’s World Series of Poker.